Much more than just a graveyard. The Sprawl is Calgary pop-up journalism—a crowdfunded, ad-free, made-in-Calgary model. Join the 450+ monthly patrons who support The Sprawl so we can keep telling Calgary stories! This Sprawlcast episode is divided into two parts. Part One is about Calgary newspaperman Bob Edwards. Part two is about Equinox Vigil. A full transcript is below, courtesy of Opal Transcription Services. JEREMY KLASZUS: This month is The Sprawl's first birthday. We launched a year ago in September and to commemorate this, we're going to do something a little unusual on this Sprawlcast. We're going to go to the graveyard. I've got my bike all loaded up. It's a brisk September evening, sun's about to set here, and we are off to Union Cemetery. You're listening to Sprawlcast. It's a collaboration between The Sprawl and CJSW 90.9 FM, and we are broadcasting in Calgary on Treaty 7 land. 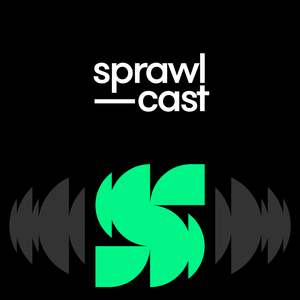 My name is Jeremy Klaszus, and I'm the founder and editor of The Sprawl, and Sprawlcast is a show for curious Calgarians who want more than the daily news grind. Today we're going to go back to the early 20th century and dig into Calgary's history a bit. This was a time when about 50,000 people lived in Calgary. 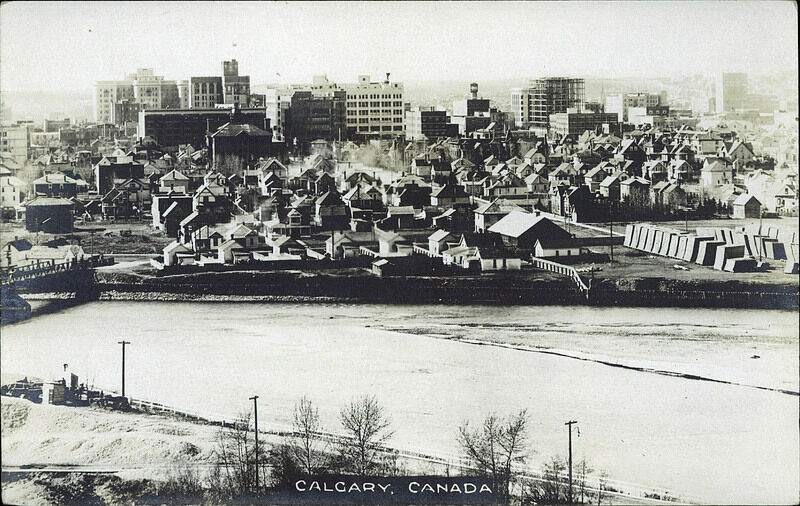 Calgary sometime after 1910. Image courtesy of Peel's Prairie Provinces, a digital initiative of the University of Alberta Libraries. As we go here, I want to tell you a little bit about why I go to Union Cemetery. I don't know if there would be a Sprawl if it wasn't for this place I go to in Union Cemetery. I would say I go every few months – more, if needed – but it's a place I go to find my feet in the world, to reconnect and to get oriented in a busy city. All right, so here we are at Union Cemetery. Just pulling into the Spiller Road entrance, and it's dusk. Sun is down, sky is darkening, and I've never been here in the dark before, so this will be new. But I know where Bob Edwards's grave is, and that's where we're headed. Bob Edwards ran a Calgary newspaper called The Eye Opener, and I've been fascinated by this for a while, ever since I worked at Fast Forward Weekly. The Fast Forward office was actually not far from here. It was in Ramsay, so just about a 10-minute bike ride away. Whenever I would get really stuck on a story – like really, really turned around beyond hope – I would go visit Bob Edwards. This became something of a tradition for me. Here, just wait. We're close. Just got to check where we are. Yeah, I think this is the road that goes up. I'm going to hop off my bike here and walk the rest. “What a number of people there are in Calgary who abhor one another. Good God! What is the matter with them? I would come here seeking guidance, and I came here, actually, before launching The Sprawl. The Sprawl launched on September 18th, and on the afternoon of the 17th I came here to… I don't know why, exactly. To honour the journalistic tradition of this city, I suppose. And it was important to put what I was doing in context. It's so easy to think that whatever is right in front of us is the be-all and end-all, and it's really not. When you go to a place like Union Cemetery you understand that in quite a powerful way. So here we are … Oh, wow. I think maybe they put new markers up. But here's Bob Edwards's row. There's a bit of a hill here. Apparently, I'm out of shape. So it's just down a little bit here. So we're just across from … I believe it's the Shaw building on Macleod Trail. And Macleod Trail is literally, I don't know, 40 feet away from me. It's actually not that dark here, which is nice. I'm fairly well illuminated by the Macleod Trail streetlights. And here we are at Bob Edwards' grave. Here it is: Robert Chambers Edwards, MLA. 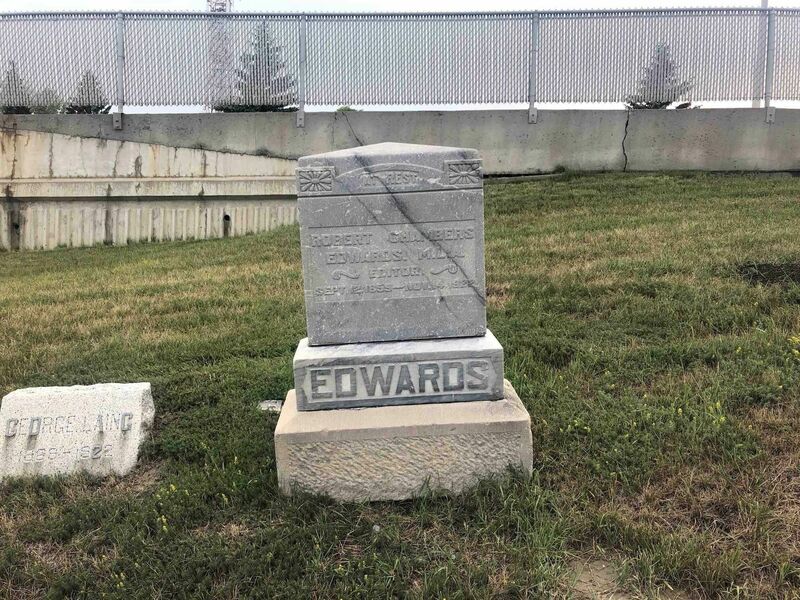 He was elected as an independent MLA at the end of his life, but here's what his headstone says: "Robert Chambers Edwards, M.L.A. Editor. September …" Is that a 12th or a two? I think a 12th. 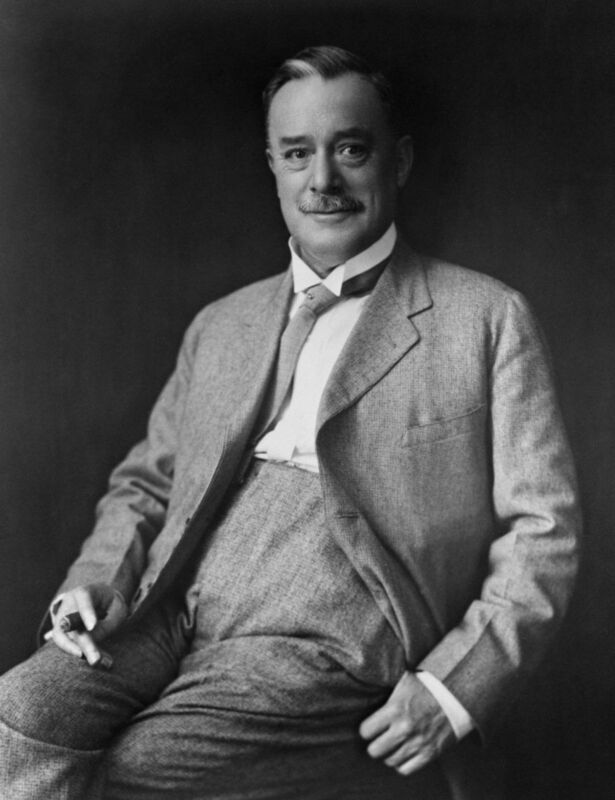 "September 12, 1859 – November 14, 1922." I'm actually having trouble reading the inscription that his wife has on there. I think it says, "Sweetest memories will ever linger. Katie." I think in a city we all have places that we need that are our places, our own places, our own little tucked-away, secret places that aren't busy and destinations. That are just our own place that we can escape to. And for me, this is mine. Bob Edwards published the Calgary Eye Opener a century ago, and it was really an original publishing model and unconventional, and, some would say, unprofessional, because Bob Edwards did not adhere to a regular schedule. A brilliant satirist, Bob Edwards was funny as hell. He did not publish weekly with predictability, and he was often drunk, which was part of the issue. When that happened, when he was on a bender, basically the Eye Opener wouldn't publish, and so the Eye Opener had this super irregular publishing schedule. But people put up with it because the stuff he put out was so good. 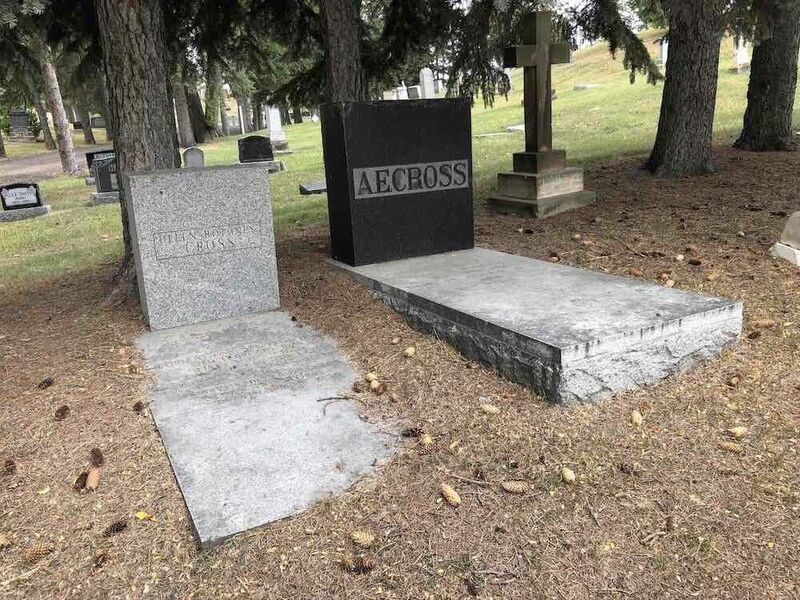 The Sprawl has been publishing for one year, so I want to honour one of my journalistic heroes by sitting here right beside Macleod Trail at his gravesite and reading to you some of the great Bob Edwards. "What a number of people there are in Calgary who abhor one another. Good God! What is the matter with them? Are they bereft of their senses or are their better selves lost in a maze of selfishness and self-absorption? There is hardly a man but what pretends to be better than his neighbour; if not financially, then mentally; if not mentally, then morally. They've got to be better somehow..."
"And yet everybody, but us, attends church." "Although the citizens of Calgary are not what you would call violently insane, they still indulge in picnics to an alarming extent, eating sand and ants and doing other things which we admit are mildly idiotic." JEREMY: Okay Bob, whatever you say! This one is from 1917. This is just over a century old. This is Bob Edwards's prayer to the Almighty Dollar, as relevant in Calgary now as it was then—maybe more so. "Almighty Dollar, thou art worshipped the world over; thou hast no hypocrites in thy temple or false hearts at the altar..."
"O Almighty Dollar, be with us we beseech thee, attended by an inexpressible number of thy ministering angels, made in thine own image, even though they be but silver quarters..."
"Almighty Dollar, thou art the guide of our footsteps and the goal of our being. Guided by thy silvery light, we hope to reach the golden gate and triumphantly enter while hands harmoniously sweep the golden harps." "Almighty Dollar, thy shining face bespeaks thy wondrous power. In my pocket, make thy resting place. I need thee every hour." "And now, Almighty Dollar, in closing this invocation we realize and acknowledge that thou art the god of our grandfathers, the twofold god of their children and the threefold god of their grandchildren. Permit us to possess thee in abundance, is our constant and unwavering prayer." “Almighty Dollar, thou art the guide of our footsteps and the goal of our being… In my pocket, make thy resting place. "Believe us, gentle reader, whatever we say and whatever we do, is said and done with a single eye to Calgary's welfare. The citizens of this town are all too good natured and easy-going. They are prone to think that if their own private businesses are running smoothly, everything is hunky dory. Everything is far from being hunky dory when, through their own neglect, indifference, and habit of electing popcorn vendors and peanut-roasters to run the town (to say nothing of the inevitable contractors skirmishing around for business advantages thus obtainable), they allow the civic pot to boil dry and crack." "With the advent of the automobile Calgary advances another stride as the logical leader in all that is good, fashionable, immoral, gay and joyous in the Territories; and by way of further justification for the auto's introduction we have only to mention the two hospitals, the coterie of skilled surgeons, the coroner and the police magistrate and the patriotic, progressive, prosperous, perspicacious, popular, potent, powerful politicians of that beautiful and lovely city who will now have the honour of passing by-laws regulating the auto's speed and incidentally fixing the fines." JEREMY: That's from November 1903 and is just as relevant today as when it was published, because city council is looking at this very thing as we speak. Bob Edwards was truly ahead of his time! Yea, though I run through the valleys, I am towed up the hills. I fear great evil when it is with me. Its rods and its engines discomfort me. It anointeth my face with oil. Surely to goodness, if this thing follows me all the days of my life I shall dwell in the house of Ponoka forever." JEREMY: We're going to stay in Union Cemetery for the rest of the show. Every September, hundreds of Calgarians converge on this place. It happens on the autumn equinox – that's September 22nd of this year. 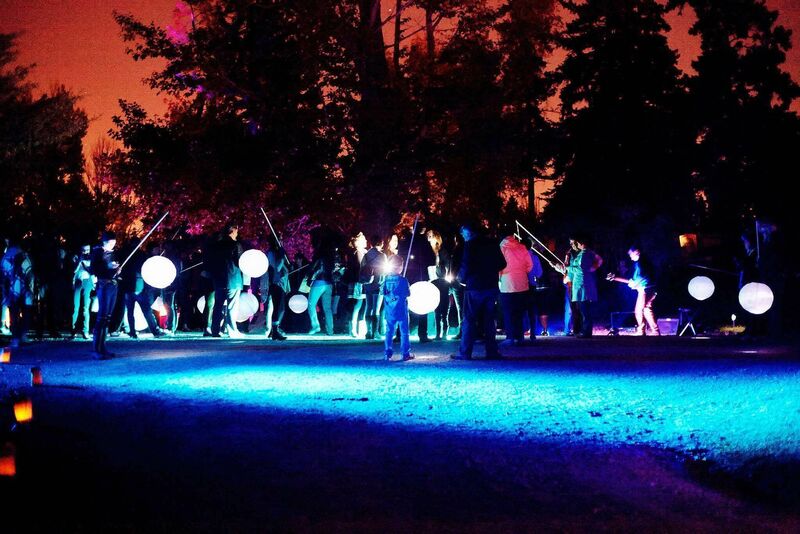 People come together for an artist-led expression of grief, celebration, and community. It's truly an unusual gathering, and I wanted to find out more about it. So I met up with Sharon Stevens, who wears a number of hats around town. She's a long-time activist, she's an artist, and she puts on this gathering in Union Cemetery, and that's where I met up with her. 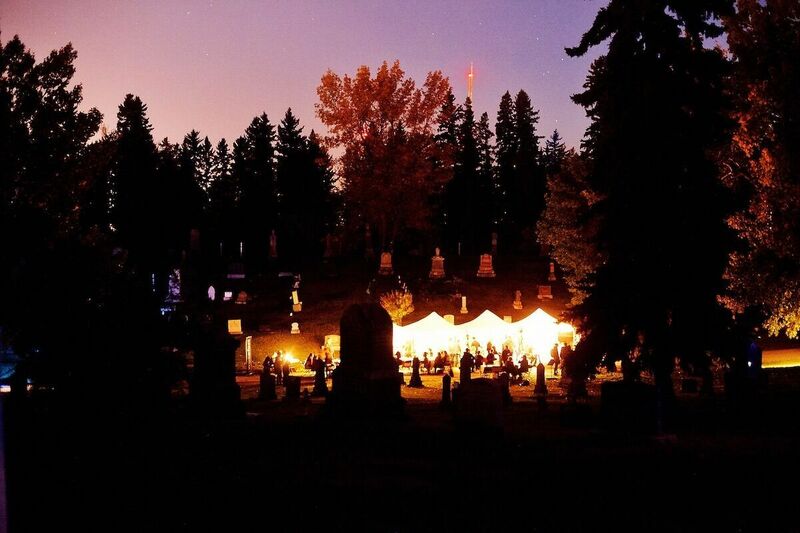 SHARON STEVENS: My name is Sharon Stevens, and I am the founder and curator and creative organizer for Equinox Vigil in Calgary's historic Union Cemetery. JEREMY: As a Calgarian, what drew you to this place? STEVENS: I find cemeteries to be quite a sanctuary of peace and thoughtfulness regardless of where they are. I tend to go visit them in small towns and those sorts of things, but it's also the history of the settlers here in Calgary. Plus, it is a sanctuary right in the middle of our downtown. It's a place where there's lots of wildlife. I've seen coyotes up here, a couple of falcons. We can hear birds. We can also hear the cement and the concrete gravel factory just behind us. It's really close to City property. What drew me to this particular cemetery is wanting to put on an equinox vigil event. JEREMY: Yeah, it's kind of a unique space smack dab in the middle of everything in the city, but quite quiet and peaceful. STEVENS: It's true. And part of what I was interested in pursuing around this event was to make our cemeteries a more public place and a civic place for people to come to – not just for funerals and not just to lay flowers on Mother's Day or Father's Day, but to come to on a regular basis. 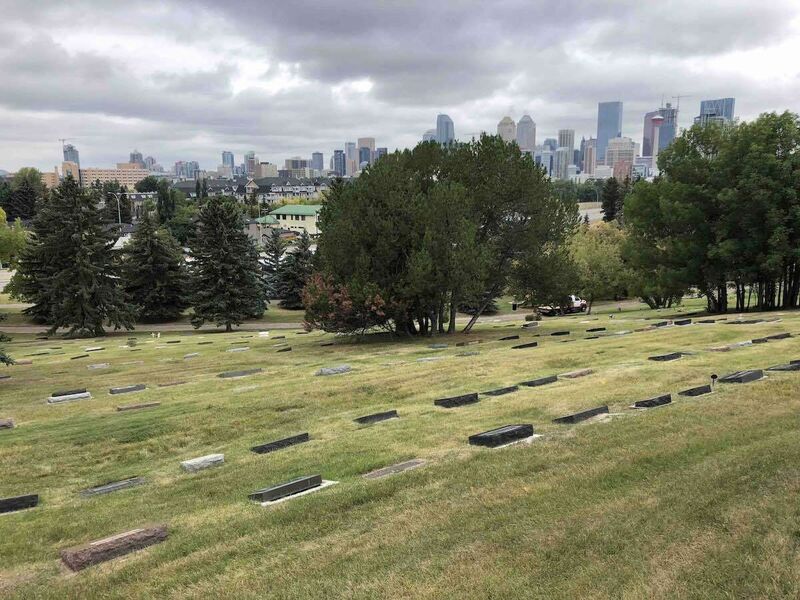 STEVENS: What we're walking up now is the tree-lined street – road – and I call this an artist-led event, sometimes referred to as a Calgary-style Day of the Dead. Lots of folks know Day of the Dead around the world – Central and South America, East Europe. It's based around November 1st and 2nd, so All Souls' and All Saints' Day, and, of course, Calgary gets too cold. Plus, I wanted Calgary to have our own event and ritual. It's artist-led. We have an opening ceremony where we have a sash across the trees and everyone gathers there for a little opening conversation, and then the artists go up first. So, literally, it's artist-led. All the visual artists, the poets, the musicians, the choirs, the dancers, all walk up this tree-lined street, and then the audience and public follow. JEREMY: You mentioned the Day of the Dead, and our culture, obviously, is less comfortable with the whole idea of death overall. How do you find people deal with that or contend with that when they come out? Is there a little bit of discomfort? There's all of that that tends to be around death and dying, but what we're trying to do, as we call it, we create a sanctuary for tender feelings, and we do it with beauty. We do it as artists. I really believe that artists have a responsibility to bring this kind of ritual to the public. Plus, we know colour, form, shape, beginning, middle, and end. We know how to tell a story. The event is really only three hours long, and it's an evening that's full of liveliness as well as tears and hugs. JEREMY: It's interesting. You mention the tears. It's interesting how this place can be powerful in that way, even when you don't have a loved one buried here. STEVENS: Yes, it's very true. People come here regardless of where their deceased might be buried. Again, it's about making it more familiar. There's a lot of families that come. There's a lot of families that have been coming right since the beginning in 2012 when I did the very first one, and what they have told me is that when a grandparent has died or someone in their family has died, those children who've been coming here, they have ideas of how they want to remember and recognize their grandpa based on coming here to Equinox Vigil. They're not afraid of death as much, and they talk about death in a way where it's not around a funeral or something really sad or if someone's gotten sick or those sorts of things that we're used to around death. We talk about losing someone when they die, but I really believe that they're still with us. They're just in spirit. So we're also just trying to talk about the dead in a community, and I'm a big community activist, so I really consider this to be an activist move, an activist action, for us to get together and talk about things and people and death, in a way that is surrounded with love. “We’re all coming to this event with our own experience of death and loss and dying. JEREMY: How would you describe the tone of the gathering? STEVENS: That's a good question. Lots of people are a little nervous about it, thinking it's going to be quite somber and a little morbid, but it's not. The choirs sing cheerful songs. It's really important to me that it's upbeat. Again, it's a place for tender feelings, and the thing that I also stress with our artists, our production team, and all the creative people working on it, is we're all coming to this event with our own experience of death and loss and dying, so everyone here is coming to the event with one focus. 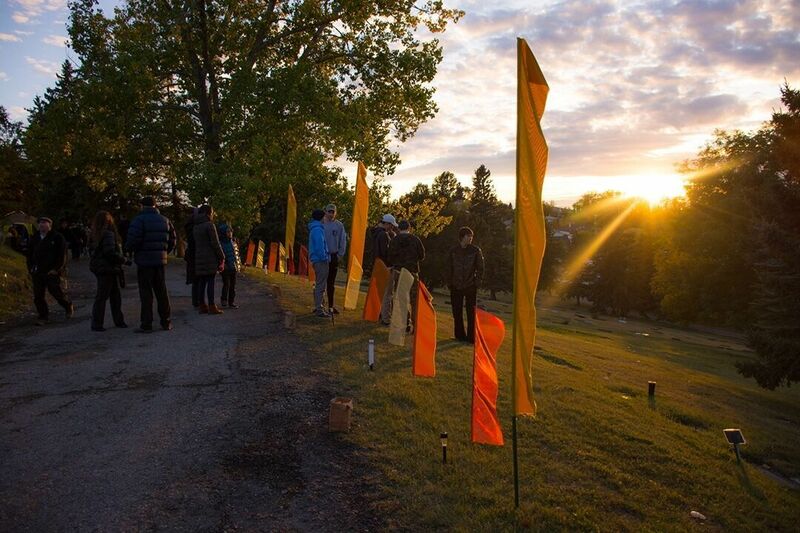 And so I've definitely seen lots of people express grief and mourning and saying to me that they have never had the opportunity to express it in a beautiful place like this before, so it really feels like we're opening a door and creating space for Calgarians. JEREMY: So now we're coming over the hill and can see that view of downtown and the Humpty's on Macleod Trail. STEVENS: Yeah, I've got to say, the Humpty's, it has kind of a hideous purple neon florescent lighting that's a bit distracting, but it is a beautiful view of the downtown skyline from here. 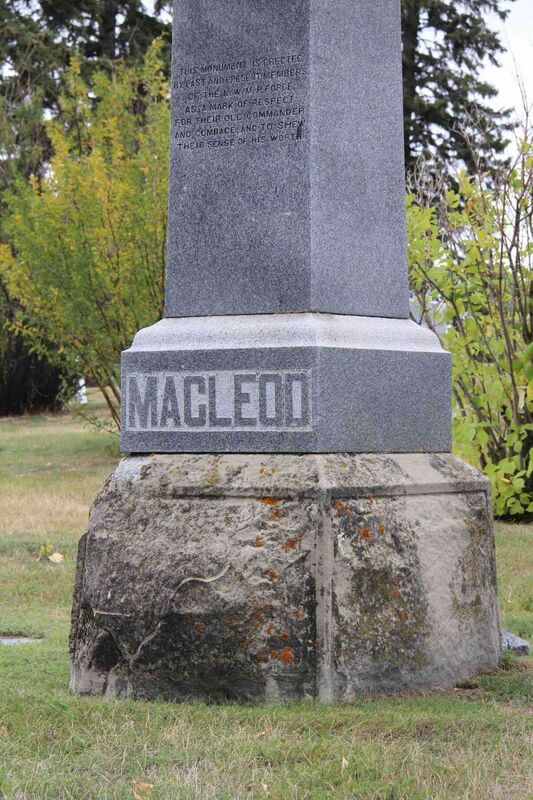 We're also just stopped at Colonel Macleod's headstone here, and it overlooks Macleod Trail. Kris Demeanor has been a regular performer at the Equinox Vigil, and he'll be back again this year. He'll be at the opening. He'll start around 6:15 and kind of entertain folks, but he has a lot of material about Colonel Macleod, and, of course, he was part of the Making Treaty 7, "We Are All Treaty People," so he really looks at bringing in Blackfoot territory, which we're also standing on, and the settler perspective into his music and poetry. JEREMY: I wanted to ask you about the time of year, because this is a significant time of year. Fresh starts for a lot of people, school year. For you yourself, when you come into September, what do you bring with you? What's the significance of this time of year for you? STEVENS: Well, it is about the ending. I'm a gardener, and the change of the season, and, especially here in Alberta and in North America, we go dormant. Our plants go into dormancy, so I really see that as a time for drawing inward, and so that's why September is also significant and why we chose the equinox time of year to put the event on. One year we invited an artist who was here from Mexico, and he talked about… He's Aztec, and he talked about how the November 1st and 2nd, the Day of the Dead that they celebrate now, it actually used to be during the equinox, and then when the Spanish came with Catholicism and Christianity they sort of bumped it to November 1st and 2nd, so it does have some significance around the equinox for people who are acknowledging the change of season and death in the cycle of life. So it's really another reason why we do it in September. JEREMY: Especially here. I imagine you have the leaves turning. STEVENS: It's just gorgeous. And the flags that we put up really reflect that colour, and, again, it's artistic, it's creative, it's beautiful to look at, and it's a place to hold your heart. JEREMY: And it seems like it's a place, as well, to hold things in a certain tension – life and death, changing of the seasons, light and dark. Even, you mentioned the event starts and it's bright out and then almost instantly it's dark. STEVENS: Yeah, it's true. You know, I started this event in honour of my dad, who died in 1995, and I think of him a lot when I'm putting this event together and getting ready for it and trying not to lose sight of that, that that was the impetus. Just that feeling that I didn't really have something to hold my feelings in a way that I think Equinox Vigil does for other folks. JEREMY: It's interesting thinking about grief – it being private and it being communal. As a society, do we have many expressions of communal grief? STEVENS: No, we don't, and that's another motivation for this event, is gathering together as a community to express our grief can … not necessarily lessen it, but it can make it feel less hard. There's a headstone I saw that was actually photographed by Candace Makowichuk, who is the artist-in-residence in the Edmonton cemeteries, which was just new for them this year. I invited her down here. She's been here a couple of times. So she photographed this monument that says, "Time passes, love remains," which is really true. I mean, my dad died 23 years ago and so I've gotten a little bit used to that, but there's still a place in my heart and in my thoughts for him, and I think a lot of people feel that as well. And when you gather as a community, everybody's got some experience with death – if it's the death of a pet, or death of a grandparent or a close friend, or tragic accident, everyone has some kind of experience with it, so gathering together as community, I believe, really helps with that impact. “Gathering together as a community to express our grief can not necessarily lessen it, but it can make it feel less hard. JEREMY: Yeah, when something's really awry and when things are … you know, when I can't see a way forward. But it occurred to me I should be going on celebration days too. So I had my beer and came to visit Bob, but I'd only had three hours of sleep the night before, and so next thing I know I'm asleep at the gravesite. STEVENS: Oh, my goodness. Well, I have seen people sleeping here, and you know what? I'm just going to point out, it might be more comfortable to sleep on A.E. Cross's grave next time, because it almost looks like a bed. 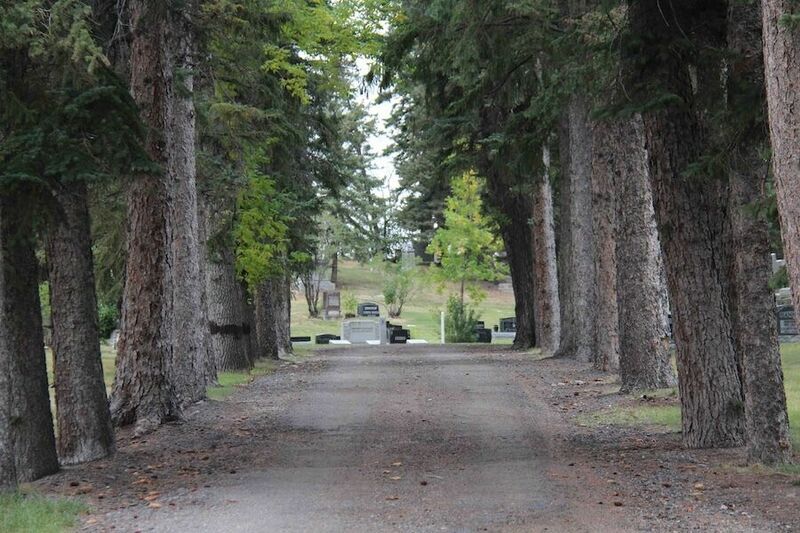 STEVENS: His family is buried here, and he started the first brewery here in Calgary. JEREMY: Yeah, and one of the Big Four who started the Stampede. JEREMY: I'll keep that in mind next time I need a nap. STEVENS: This year in particular, we don't necessarily have a theme, but there's kind of a theme. I've been feeling, like I'm sure a lot of other people are, that the climate change around our planet is pretty overwhelming, and refugees coming from war-torn countries … Our world and planet is completely changing, and I think people are feeling at a loss for that. So we are going to work on ways to provide small, creative acts of inclusion around feeling grief for our planet. Again, it's not about being morbid. Of course, there's the saying – and I forget who said this quote – but, "Mourn, then mobilize," and so I'm seeing that a little bit as well. It's not only just coming together to honour and recognize and remember the dead humans and pets in our lives, but it's also about our planet and changes that we're experiencing, and small ways that maybe we can, as a community, be motivated and feel that honour and respect for our planet, too. “Our world and planet is completely changing, and I think people are feeling at a loss for that. JEREMY: Yeah, and it seems like a lot of people are naming that grief of late, especially with the smoky summer. That weighed on a lot of people and was hard on a lot of people. STEVENS: You're right. The weight of it on folks—and it's in our own home. Calgarians are very fortunate, for the most part. We've not experienced war. We haven't experienced devastation. Our flood in 2013, the whole community came around, you know, rallied for that - so I think we're a little inexperienced with it. We have a dance troupe led by Kyrsten Blair, and they are going to be holding globes. I also have a collection of globes, so that's the other reason… And we're going to be carrying the planet in our procession. It's not meant to be a protest. It's not meant to be anything extravagant. It's just a small gesture. I'm not predicting the end of our planet. I'm predicting change, perhaps, but I think it is those small acts of kindness, as we've come to know it, are significant in how we can manage our fear and grief and pain around change. JEREMY: Definitely. Well, thanks very much, Sharon, for the tour. This has been great, and I look forward to the event. STEVENS: Excellent. Thanks, Jeremy. It's been great to talk about it. I love it. It's my passion, so I invite folks to come September 22nd, arrive about 6:15, and Kris Demeanor will entertain you. JEREMY: You've been listening to Sprawlcast. Sprawlcast is made at CJSW 90.9 FM. If you want to do more reading on Bob Edwards—which I recommend!—I want to point you towards two books. One is "Eye Opener Bob" by Grant MacEwan, which is the definitive biography of Bob Edwards. The second book is – and this is a mouthful here – "Irresponsible Freaks, Highball Guzzlers and Unabashed Grafters: A Bob Edwards Chrestomathy," and that one's edited by James Martin. You can check out The Sprawl online at www.sprawlcalgary.com, and we actually have a website now! We're not just publishing on Medium anymore. Our website was made locally by Morgan Curley – she's the designer – and Mackenzie Patterson, who's the developer. Simply put, they're amazing, so if you're doing web stuff, you should hire them. Follow us on social media. We're @sprawlcalgary on Twitter, Facebook, and Instagram. Our theme music is by Dan D'Agostino and Kenny Murdoch, and our C-Train narrator is Holly McConnell, the legendary voice of the C-Train. Transcript by Opal Transcription Services. Join the 450+ monthly patrons who support The Sprawl so we can keep telling Calgary stories!